In order to stay comfortable in your home throughout the year, you need to have an HVAC system that offers dependable performance. Cote’s Mechanical can ensure that your heating and cooling system operates as reliably and efficiently as possible throughout the year. When you end up needing unexpected repairs, you don’t have to wait long for service. Cote’s Mechanical in Lakewood Village offers 24/7 emergency repairs for homes and businesses in the area. From free estimates on installations to free service calls with repairs, our company can also help you stay in budget when you need heating or cooling services. No matter what kind of HVAC services you need, you can depend on the team of HVAC experts at Cote’s Mechanical to assist you. Depending on Cote’s Mechanical for all of your HVAC needs means getting reliable service from highly qualified and licensed technicians. Our technicians provide A/C and heating installation, repair, and routine maintenance services for residential and commercial customers in and around the Lakewood Village area. We can help you find the right heating and cooling system to suit your needs or come out to make repairs as quickly as possible. Cote’s Mechanical also offers services that can enhance your home’s comfort, such as attic ventilation and air duct cleanings. 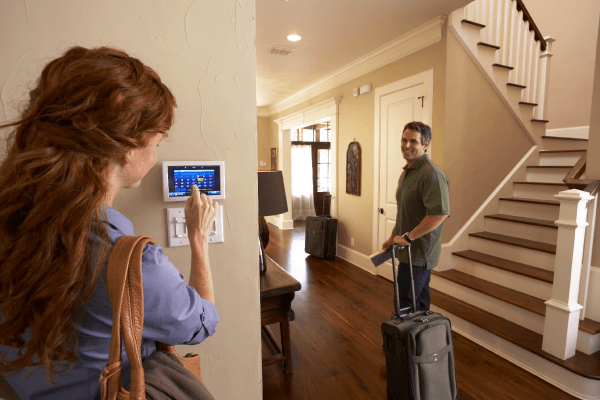 With these services, you can keep your energy bills low and boost your home’s comfort levels. Whether you need regular maintenance on your HVAC system or find yourself needing repairs you weren’t expecting, Cote’s Mechanical is here to help you out. If you’ve ever browsed through the online reviews for Cote’s Mechanical, you’ll quickly notice how many satisfied customers we have. This has been the case since 2001, when Cote and Kristi Wyatt decided to open a business in order to provide Lakewood Village residents and business owners with dependable heating and cooling services. Our online reviews call attention to how quickly our technicians are able to get to customers’ homes for unexpected repairs – especially during the summer months. Dozens of neighbors on Facebook and Nextdoor have also recommended that others take advantage of the heating and cooling services offered by Cote’s Mechanical. Thanks to our dedication to outstanding customer service over the years, we have received several awards and other kinds of recognition. We have received the 2016 Superior Service Award from Angie’s List, plus accreditation and an A+ rating from the Better Business Bureau. 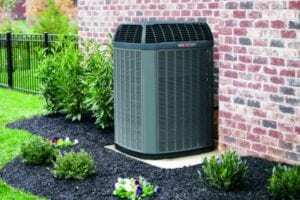 Trane has also provided us with certification as a Trane Comfort Specialist, while the Air Conditioning Contractors of America has given us accreditation for meeting their high standards. Lakewood Village residents have an average income per household that is nearly twice as much as the Texas and U.S. Averages. Residents make about $101,563 per household on average, while the national and state averages are around $55,000. Houses in Lakewood Village typically cost quite a bit more than the average house in the U.S. and Texas. Lakewood Village home prices are $257,600 on average, compared with roughly $142,000 in Texas and around $184,000 in the U.S. The population of Lakewood Village is around 550 residents. Those who live in this small Texas community can get to surrounding towns and cities easily enough. Plano is about 34 miles away via I-35E S and the President George Bush Turnpike, while Dallas is about 36 miles away via I-35E. Fort Worth is about 48 miles away via I-35S W, and Denton is about 13 miles away via I-35E N.
Residents in Lakewood Village have easy access to several places that offer outdoor excitement and fun. Lewisville Lake, which lies at the village’s southern border, provides residents with opportunities to enjoy a great time in the water. Hidden Cove Park in nearby Frisco and Little Elm Park also offer great places to get some fresh air and sunshine. Little Elm, which is a short drive away, also has several dining options, including Bruno’s for pizza and pasta and Tower’s Tap House for casual fare. Lakewood Village residents who would like to give back to the community can volunteer in different ways. A few of the opportunities that are available include Keep Lakewood Village Beautiful, Neighborhood Watch, and the Town Council. If you need dependable HVAC service in the Lakewood Village area, contact Cote’s Mechanical to schedule an appointment. Our technicians are available to come out at any time to perform repairs at your home or business. We also install new systems, replace old ones, or provide other HVAC services for residential and commercial customers in Lakewood Village.